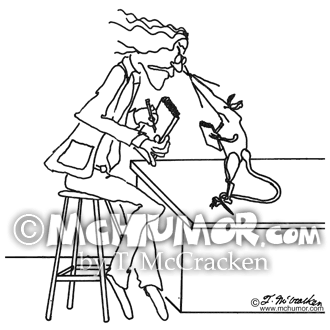 Research Cartoon 0332: A lab rat stares back at a scientist. 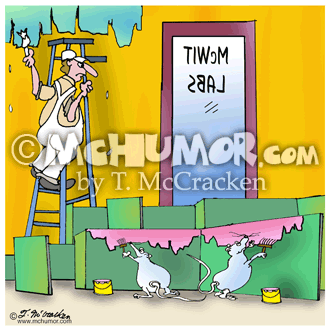 Lab Cartoon 7304: Mice in a lab maze painting their little walls as men paint the walls in a laboratory. 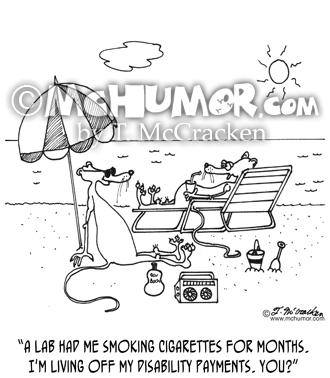 Cigarette Cartoon 4649: A rat on the beach says to another, "A lab had me smoking cigarettes for months. 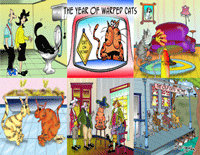 I'm living off my disability payments. You?" 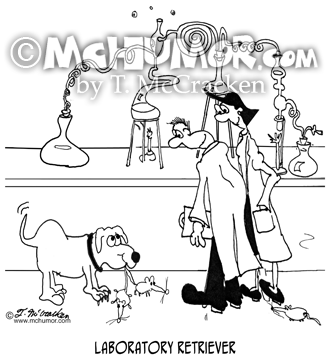 Dog Cartoon 8848: "Laboratory Retriever." 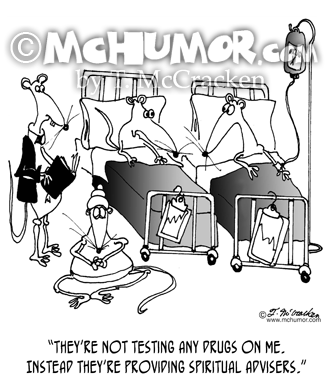 A dog brings rats to lab scientists. 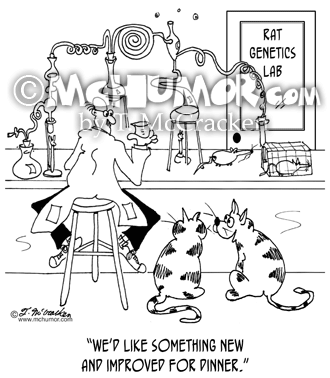 Food Processing Cartoon 6606: A cat getting mice from a genetics lab saying to another, "We’d like something new and improved for dinner." 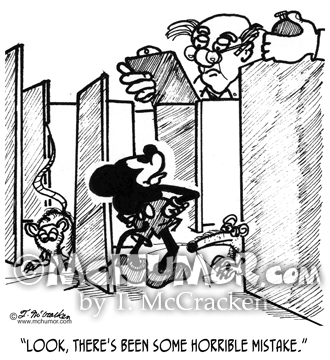 Lab Cartoon 2009: Mickey Mouse in a lab maze says to the researcher, "Look, there's been some horrible mistake." 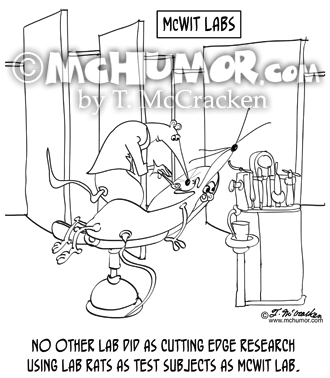 Rat Cartoon 8703: "No other lab did as cutting edge research using lab rats as test subjects as McWit Lab." 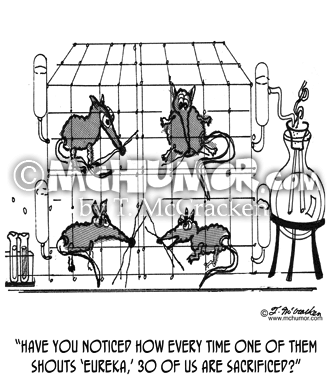 In a lab maze a rat who’s a dentist works on a rat who’s a patient. 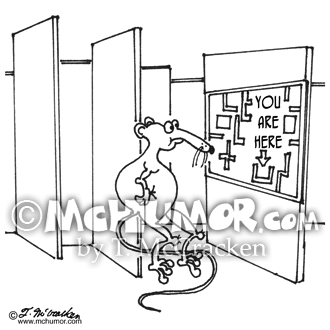 Lab Cartoon 4647: A rat in a maze looks at a "You Are Here" map and diagram.